The PC-01 Stack Rack is designed to hold PC boards during all stages of assembly, cleaning and testing. The width of the rack module is easily adjusted from zero to 290 mm by sliding one side panel along the aluminium aluminum extrusion and tightening two screws. One meter lengths of extrusion are available to allow construction of racks up to 970 mm wide. The module is stackable in all directions so that racks of unlimited height and depth may be constructed. 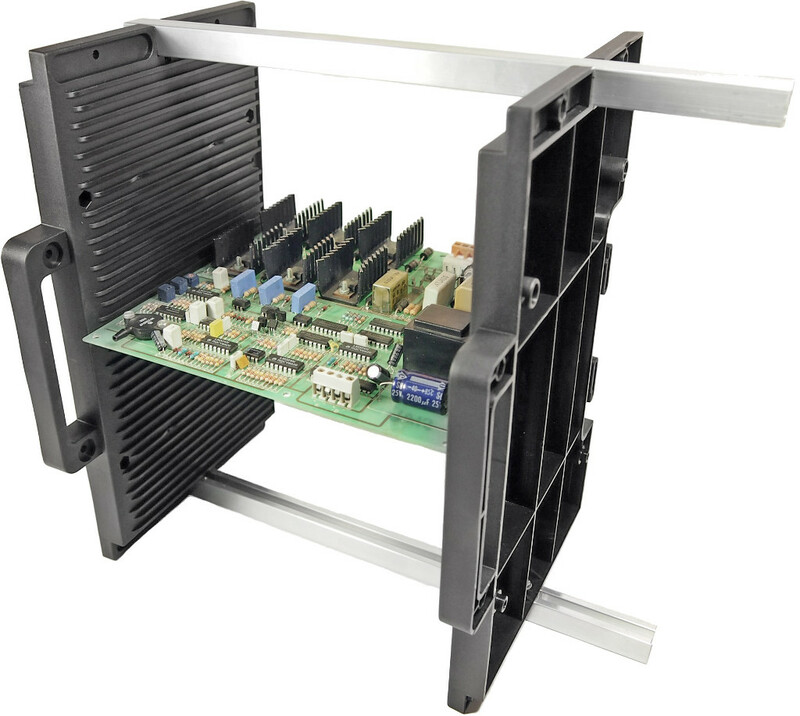 The plastic sides are anti-static so that sensitive devices may be safely stacked in PCBs without special precautions other than earthing grounding the rack. 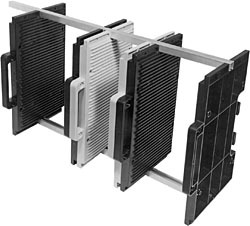 We also offer the PC-01C where the side panels are made from conductive plastic for use when highly sensitive integrated circuits need protection against anti-static charges throughout all handling, up to soak test or burn-in.